The 10th Iron Craft challenge for 2015 was to craft something around the letter E; using materials or techniques starting with the letter E, or make something starting with E like I did. For this challenge I made eye-masks! 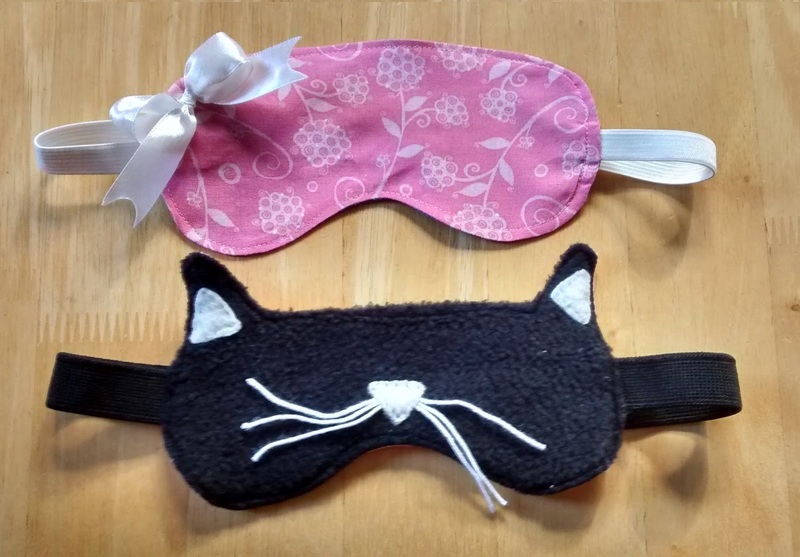 The little miss and I are off to Australia for the Australian International Oireachtas, and we're travelling at some pretty hideous hours, so I though some eye masks might help us to catch a little sleep when we can. 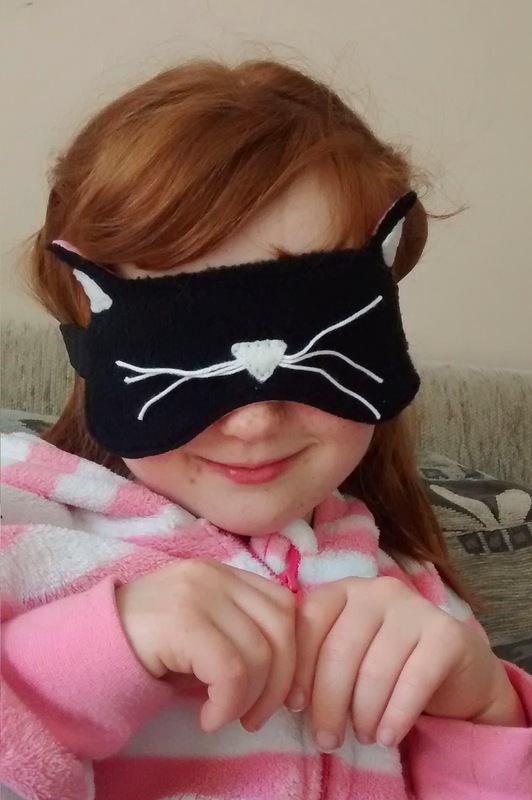 The little miss requested a cat mask and I just wanted something plain, but still cute. 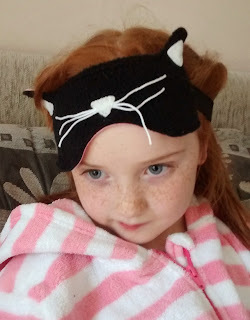 It was a perfect way to use up some fabric scraps and it was a nice, quick project. There are no shortage of eye-mask tutorials on the internet, and many different styles to be found on Pinterest, but I pretty much just made mine up as I went - I did take some inspiration from the many photos I looked at though! I should know better than to try and take photos while she's watching Harry Potter! I hope they helped you sleep! I have the worse time with time change and traveling.